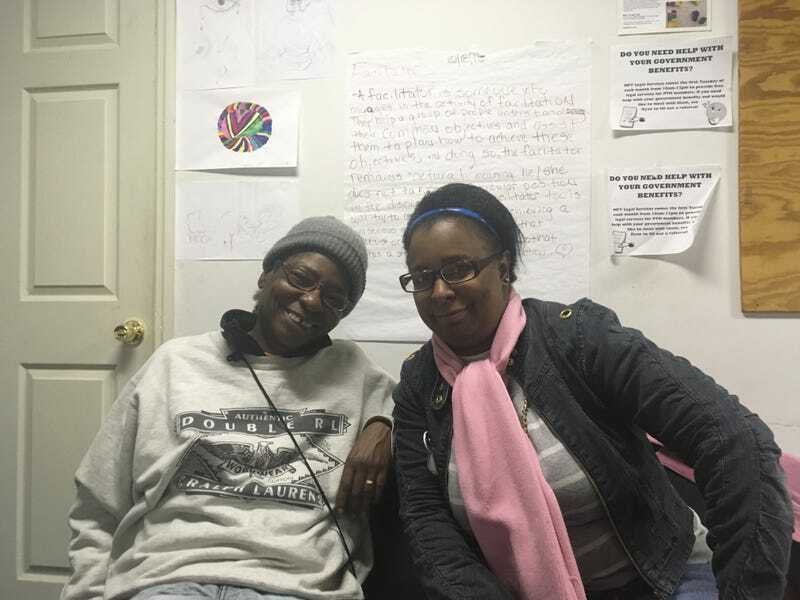 Speaking with Jezebel at Picture the Homeless’ offices on Tuesday, the pair reflected on how things have changed in the past two decades—Walles likes the new, more electronic voting system that New York City has, but Grant doesn’t trust it. “There could be ten people who get their blood pressure taken and with me it says I have no pulse,” she joked. “That’s me with technology.” She feels disconnected from the voting process—and not just because she’s not pulling a lever anymore. Grant ascribes her current circumstance, at least in part, to the Clintons. Bill Clinton, after he left the White House, took an office at 55 West 125th Street in 2001, which, according to the New York Times, “seemed to put a presidential stamp of approval on the neighborhood’s revival.” Last year, the Community Service Society reported that residential rents in Central Harlem had risen 90 percent since 2002, compared to a citywide increase of 32 percent. “Homelessness rose when the Clintons came to New York,” Grant said, noting too that none of the two major party’s presidential candidates mentioned homelessness in any of the debates. “The homeless epidemic is going to continue unless we build more housing,” Walles said.